PrestoKeys offers different levels of scaffolding to help you learn to read and play. You’ll be improving in no time with the game’s intuitive scoring system that promotes accuracy, speed and makes learning to play fun! PrestoKeys offers a full range of settings that can be customised to suit a person who has never touched a piano in their life and even challenge experts. 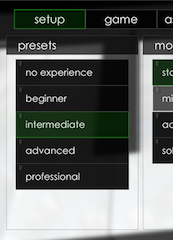 Quickly select from a list of presets and start playing right away. 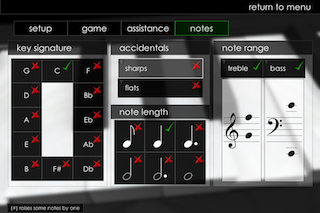 Receive crucial feedback after playing a note so you can learn from your mistakes and rapidly improve your note recognition ability. 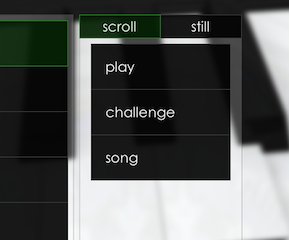 This is fully customisable, so you can select the feedback you want to hear. 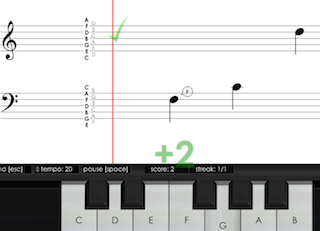 Ultimately it’s up to you how much you want to improve – the more you practise, the better you get… so why not have fun while you’re practising with PrestoKeys! 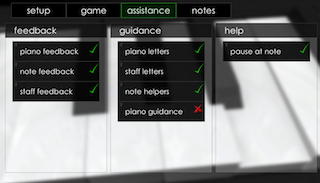 PrestoKeys offers several assistance settings to cater for players of varying abilities. PrestoKeys provides several game modes so practising will always be fun! 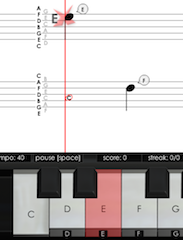 There are also several other features that keep you entertained while you practise. PrestoKeys automatically checks for updates so you are always equipped with the latest features as they are released. 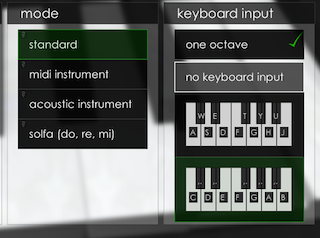 If you purchase the pro version of the game, you will activate features including midi input, chords, smart notes, solfa mode and key signatures. Your feedback determines what changes and what new features arise, so help improve PrestoKeys and leave your suggestions!